Nothing says easy casual chic like a hooded gilet. 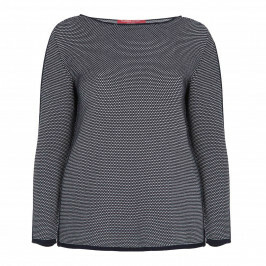 Made from 100% pure cotton this textured navy and white knit by Marina Rinaldi is the perfect leisure piece. 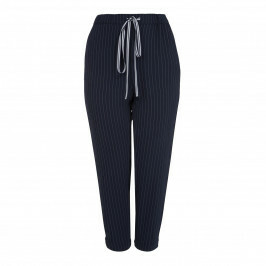 Team with the coordinating sweaterm, jeans and canvas trainers - perfect for the school run, shopping trips or spa days. Textured knitted navy and white zip through hooded gilet with navy trim.100% cotton. Hand wash. Do not tumble dry. Do not dry clean. SIZE HELP: M = UK size 18, L = UK size 20/22, XL = UK size 24, 2XL = UK size 26/28. Model’s height is 178cm (5ft 10in). For more information, please call customer services on +44 (0) 20 8455 0005, or one of our stores.